Yesterday's look of Lily-Rose Depp at the Chanel show in Hamburg, in our opinion, deserves no less attention than the new collection by Karl Lagerfeld. For the fashion show 18-year-old Lily-Rose Depp chose bold to her young age look: she opted for lacy translucent black dress with straps, fishnet tights in the same tone and black sandals with a heel decorated with fur. However, the daughter of Vanessa Paradis and Johnny Depp has long attracted the attention by her extraordinary style, demonstrating the relatively simple yet extravagant outfits. However, it should be noted that in each of her new outfits Lily-Rose looks very harmonious and confident. Do you agree? 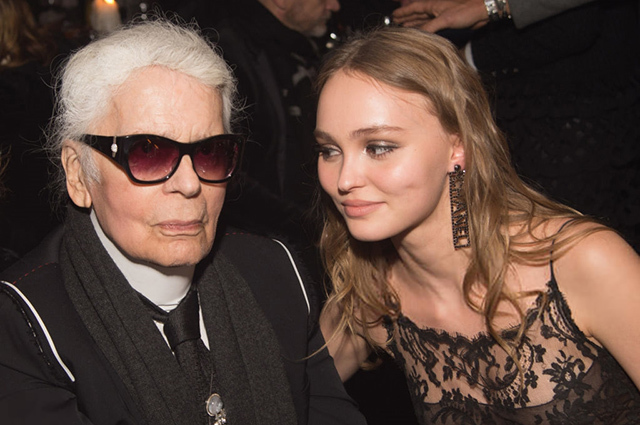 By the way, a year ago Lily-Rose Depp was the muse of Karl Lagerfeld and has been closely involved in the Chanel show: model made her debut at the Metiers d'Arts show and demonstrated two bright and very different looks. In the same year Kaia Gerber became a favorite model of designer. She walked down the runway yesterday in the building of the Elbe Philharmonic (this is where a fashion show took place), demonstrating outfits and accessories from the new collection of the famous fashion designer.